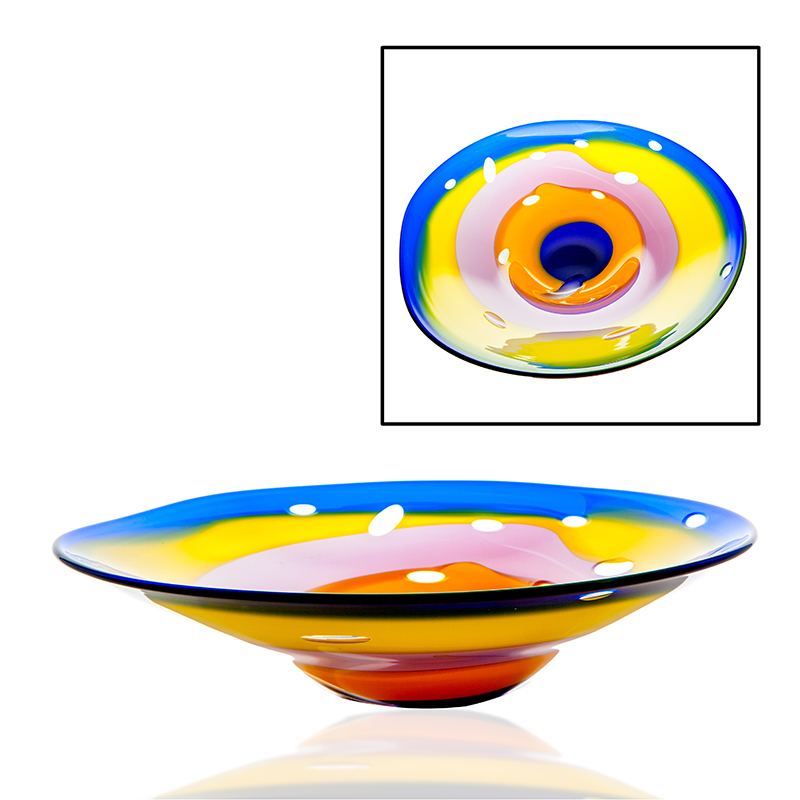 Approx 14″ x 6″ Centrepiece bowl, coloured with trails of Lilac, Cobalt, Yellow and Orange with highly polished cuts. The Kingsmeadow Centrepiece Bowl is named after an area ofÃÂ Waterford City in which the old Waterford Crystal factory extended to. All of our craftsmen were trained in this facility and worked there until it closed in 2009. The Kingsmeadow centrepiece bowl is an exampleÃÂ of the skill involved in glassmaking. Each centrepiece has been coloured with trails ofÃÂ lilac, orange, cobalt and yellow. Approx 14″ x 6″.